Whether it’s an early morning run, a new class at the gym, or Stance’s Mint Trees Crew, sometimes you have to shake off the cobwebs of convention and start fresh. Inspired by the Uncommon athlete, this performance sock from our Fusion Athletic Collection blends state-of-the-art machine and material techniques with artistry of design. We started with an 80/20 fiber blend that offers sweat-wicking properties for advanced moisture management. 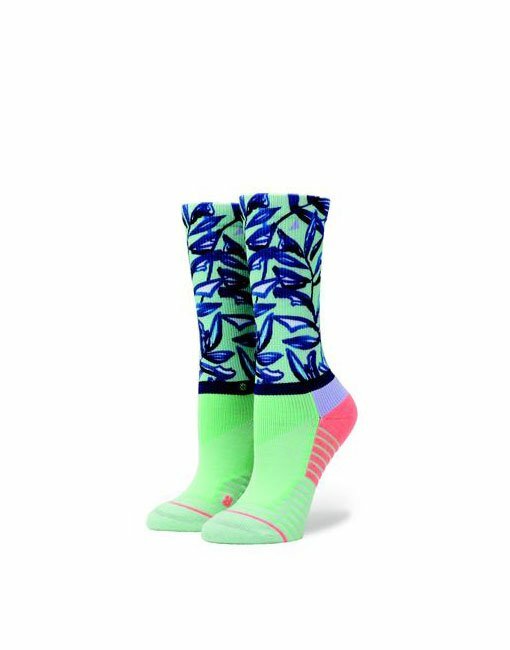 Then, we designed each sock with strategic blocks of performance mesh for enhanced breathability. Anatomical cushioning for your right and left feet and a seamless toe closure means feet stay comfortable, mile after mile. Always keep it fresh with Stance’s Mint Trees Crew. SKU: N/A. Categories: Accessories, Stance, Gifts.